Myrtle (Myrtus communis) is also known as ‘common myrtle’ or myrtus. The oil comes from the steam distillation of the leaves, twigs, and sometimes flowers of a bushy evergreen in the Myrtaceae family. Myrtle essential oil smells like herbs and camphor with a slightly sweet tone. This oil is in the same aromatic family as tea tree and eucalyptus and is reminiscent of those scents. Myrtle, also known as the Corsican pepper, is an evergreen with brownish-red bark on tough but thin branches. Features include small, pointed, and fragrant leaves, white flowers, and bluish-black berries. The bushy tree grows up to 15 feet high and is native to North Africa. It now grows across the Mediterranean and is grown as a garden shrub across Europe. The oil is mainly produced in Corsica, Spain, Morocco, and Tunisia. There are a number of types of myrtle oil produced. A cineole-rich red myrtle comes from Morocco, and the French island of Corsica produces a green myrtle that is high in linalool. Red myrtle oil is often darker and more camphorous. Lemon myrtle (Backhousia citriodora), is native to Australia. Aniseed myrtle (Backhousia anisata), produces oil that is very high in anethole. Honey myrtle (Melaleuca teretifolia) is a teratogen that can cause embryo malformation. If you need to find a substitute for myrtle essential oil, first determine the quality you were seeking in the oil and choose an oil that offers it. For instance, for the antimicrobial, antiseptic, or expectorant qualities, you could choose eucalyptus radiata. The common myrtle oil contains small amounts of methyl eugenol and estragole, which makes it possibly carcinogenic. It should not be used by anyone pregnant or nursing, on multiple medications, or those who have estrogen-dependent cancer. Myrtle essential oil should never be used on children. This oil should always be diluted; the maximum dermal use is 1.9 percent. Do not take the oil internally. Throughout history, myrtle has been associated with Venus, the Roman goddess of love, as well as the Greek goddess Aphrodite. The branches were often used in weddings and were a symbol of happiness and sexual vigor. 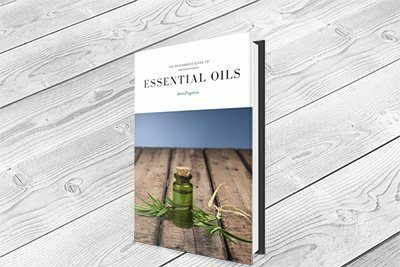 According to Dr. David Stewart, who wrote "The Chemistry of Essential Oils Made Simple: God’s Love Manifest in Molecules," myrtle oil is useful for balancing the thyroid. Respiratory tract infections can come on when least expected, and they seem to last forever. Myrtle oil is an expectorant and anti-catarrhal. When a bacteria or virus gets in, try the following blend. When meditating, it helps to diffuse essential oils. However, you don’t want to choose oils that remind you of something, such as oils that smell like food. You also do not want to choose any oils that you use on a regular basis for a specific purpose. Myrtle is a known astringent and tonic, making it beneficial for conditions like hemorrhoids and urinary tract infections. To get this benefit, add 4-5 drops of the essential oil to a carrier such as oil, baking soda, or Epsom salt. Mix it well, and swish it into the bath water. This method also helps with parasitic or fungal infections of the skin, psoriasis and eczema, pimples, and boils. Another benefit of soaking in a myrtle oil enhanced bath is that it promotes relaxation and will help you sleep. The benefits of myrtle essential oil are that it is an antiseptic, astringent, antimicrobial, restorative, all around tonic and more. As mentioned above, myrtle essential oil can be helpful for certain skin conditions, and is particularly good for normal to oily skin. It helps to open pores and can be used on acne-prone skin. Traditional medicine has yet to explain chronic fatigue syndrome (CFS). Anyone that suffers from it knows how frustrating and utterly debilitating it can be. The condition causes inflammation, muscular pain, and constant daily fatigue. This results in irritability, nervous tension, confusion, and depression. Physically, it can result in impaired eyesight, hearing, balance issues, and more. Stress often makes it worse, and essential oils can provide an uplifting atmosphere to help calm the nerves. Try making up a blend with the above oils to diffuse. If you would like to use the above oils for a massage, make your blend and add 3-5 drops of it to a teaspoon of a carrier oil. Fungal resistance to traditional drugs is increasing. Because of this, researchers are trying to find better ways to battle fungal infections. pain during defecation, itching, and irritation commonly associated with hemorrhoids. Even patients resistant to traditional ointments or lotions responded well. The combination of myrtle essential oil and conventional antibiotics reduced multidrug-resistant bacteria growth in a study in 2014. With the prevalence of these pathogens becoming increasingly common, it is more important than ever to find a way to fight them. Myrtle comes in a variety of names, so the botanical name of Myrtus communis should be sought out to ensure the correct version is being used. The leaves and berries of the tree have been used for many years in cooking, for their scent, and for medicine. It is important that this oil is not taken internally. It should always be diluted to a maximum of 1.9 percent, and a skin test should always be performed. The oil’s health benefits include it being an antimicrobial, expectorant, and astringent. It is good for normal to oily skin, and can be helpful for many skin conditions. This oil should not be used by anyone pregnant or nursing, on multiple medications, or people with certain cancers or diabetes. Do not use myrtle essential oil on children.